Pass your driving test in one week. Join the thousands who have passed with us. Call 0333 355 1421 for more information or to book your course today. We provide intensive driving courses to pupils looking to pass their test quickly whilst learning all of the vital information needed to become a safe and competent driver. We cover most of the mainland UK and have many years experience in teaching our pupils to pass their driving test as quickly & safely as possible. Offering intensive crash driving courses throughout the UK with Quality DVSA registered & approved driving instructors we are proud to have over 40 years experience and many happy pupils, you can be rest assured we have the expertise to get you through your test in as little as one week. With our tailor-made 5 individual courses for people with previous driving experience, we also offer 4 courses for complete beginners catering for all driving types and experience. For more information check prices in your area or call 0333 355 1421. All our intensive driving courses include everything you need to pass your driving test and become a safe driver for life. 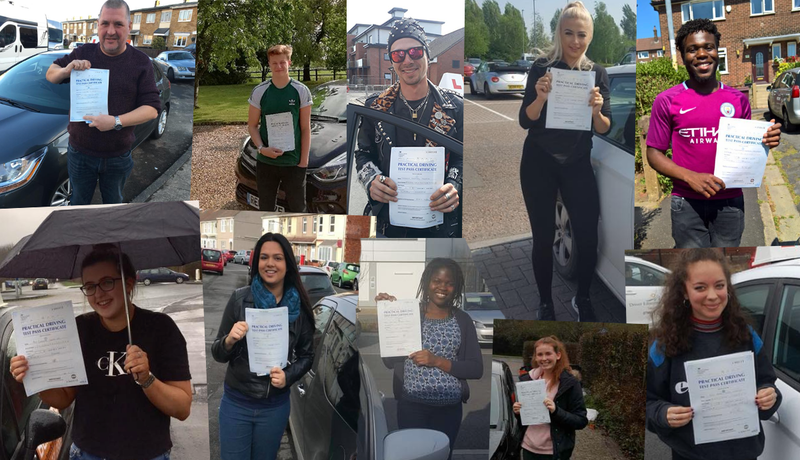 If you haven’t passed your theory test upon booking a course we will provide you with a free theory test all tests will be booked and arranged by ourselves and you will be notified on the best available courses in your area. We have a wide range of courses to suit all needs from a retest course, one week driving course through to a beginners course. Check the prices of our intensive driving courses in your area. Click here for details to book your intensive driving course. Courses to suit all driving skills. With a wide range of courses to suit all needs from beginners to more advanced drivers, we’ve got you covered however if you have any questions please get in touch. Fill out your details and let us call you back to discuss the best course for you. We want you to pass your driving test in as little time as possible but we never compromise on our quality of teaching methods. We teach our pupils to the highest of standards and ensure they are safe, confident and competent drivers upon getting their driving licence at the end of the course. Many happy pupils passing every single day of the week is our drive, see our customer testimonials for further information. We cover the majority of the United Kingdon and use only the best instructors trained specifically to teach intensive driving courses. Check out our areas covered to see the latest offerings in your local area. Our intensive driving courses are designed to help get your drivers licence as quickly as possible. Life is hectic, so not everyone has the time to learn to drive using conventional lessons. After all, most drivers take around six to eight months of lessons before passing their test, which is a significant amount of to time to dedicate. Being able to fit in regular lessons throughout every week for more than half a year simply isn’t feasible for everyone – many of these people never end learning to drive because of this. However, with an intensive driving course you can learn to drive and pass your test in a fraction of the time – it’s possible to do it just a week! Understandably, this is a huge attraction for many people that don’t have the time to dedicate to regular lessons. Many of our learners have limited free time to get their lessons done, preferring to do a large bulk of lessons when they get some time off work, which is a great idea for those looking to learn to drive as fast as possible. In fact, we are seeing more people purposely waiting until they have a week or two off from work and then booking an intensive driving course. With their free time they can learn to drive in a short period without any stress, coming back to work with their licence in hand! Learn to Drive in Record Time – Ideal for Students! 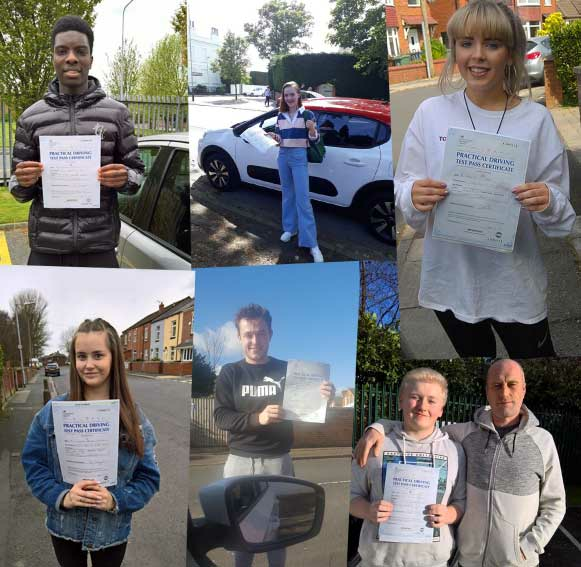 Of course, not everyone needs to take an intensive driving course because they don’t have enough free time over the year to learn – some are just eagerly waiting to pass their test and hit the roads! It’s common among teenagers who want to get their licence as soon as they are old enough, and an intensive course is a great option for passing their test in record time. This can be great when done over holidays such as summer or spring break, when teens have time from school, college, and university and can dedicate a large chunk of time to get their licence. For anyone that wants to be driving before any of their friends, an intensive course is the perfect choice for learning in record time! Urgently Need a Driving Licence? Another great advantage of our intensive course is for people that urgently need to get their licence. We’ve had several learners come to us for an intensive course because they need to be driving in time for their new job, which is quite a stressful deadline to meet. Did you know that an intensive course is often a cheaper option? That’s right, intensive courses are often cheaper than conventional driving lessons. The reason is quite simple – you learn everything at much faster, more efficient pace. Rather than slowly learning basics over one-hour lessons, you quickly come to grips with driving techniques over lessons that are several hours long. Many people benefit from this method and require fewer lessons as a result. Therefore, you could be saving money with an intensive course simply because you don’t need to spend as much time learning. While it seems easier on the wallet to spread your lessons out over the better part of a year, it’s typically cheaper to purchase a bulk of lessons, such as those offered on our intensive courses, so you could end up saving a few pennies! 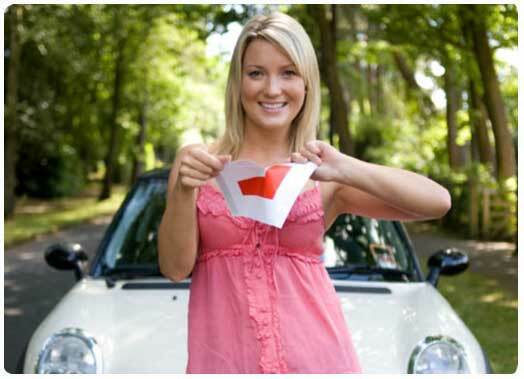 Many people have taken batches of driving lessons but never come close to taking a test. It’s quite common in the industry, with lots of learners losing interest or not wanting to pay for another batch of lessons after their first, meaning they’ve essentially wasted their money. Yes, many come back at later time – some take years – so in most instances they are starting from stretch. Not only is this a major inconvenience but also quite expensive! This type of thing doesn’t happen with an intensive driving course. When you commit to an intensive course, you are in for the long-haul, which is funny considering how short a time you can learn in! What we mean is you are more likely to commit to learning to drive with an intensive course. This isn’t just because you are learning so much over a short period, but because you are driving so much more compared to normal learners. You get a taste for driving and your abilities are developed far quicker, which motivates most drivers to get pass the finish line and pass their tests. We rarely see anyone taking an intensive course and giving up on learning to drive! One of the best things about intensive courses is the variety of options available. Here at Intensive Driving School we have a selection of different courses to suit all requirements. For instance, we provide several beginners intensive courses depending on your driving experience. If you’ve never had any, then the 40-hour course is recommended, while those with a little bit of experience can opt for our 30 or 35-hour courses. We also accommodate more experience drivers that have yet to get their licence. For example, our re-test course is ideal for someone that has recently failed a test but wants to get short intensive course to help them quickly re-book a test. Another great option is our ‘near there courses’. These are courses of varying intensities that are designed to help those who have taken lessons before and are hoping to pass their test soon. Ranging from 10 to 20 hours in length, these courses are a fantastic option for polishing off your driving techniques and preparing you for the big test! No matter what your level of experience, there is an intensive course tailormade to your requirements!